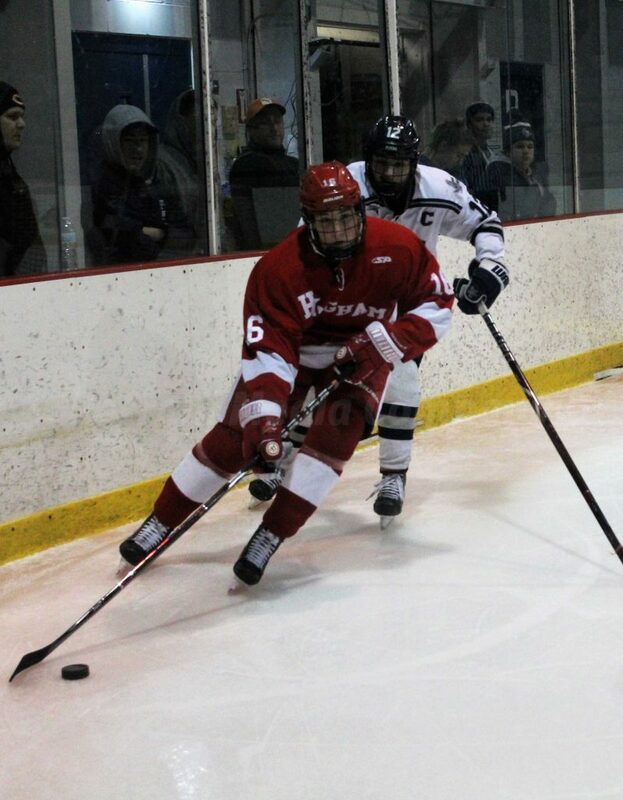 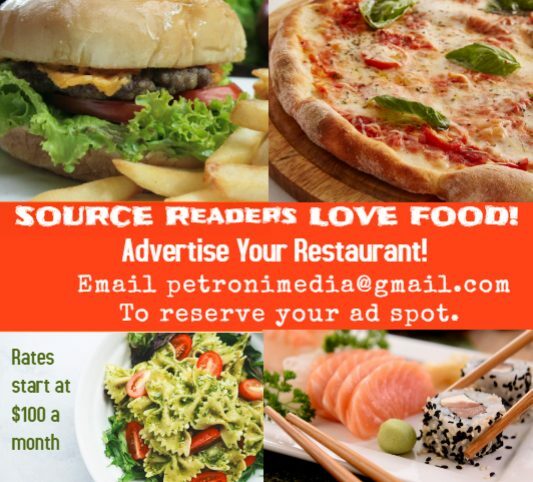 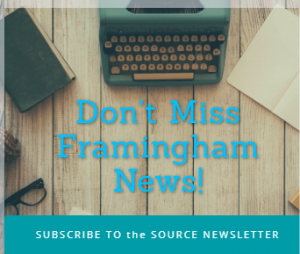 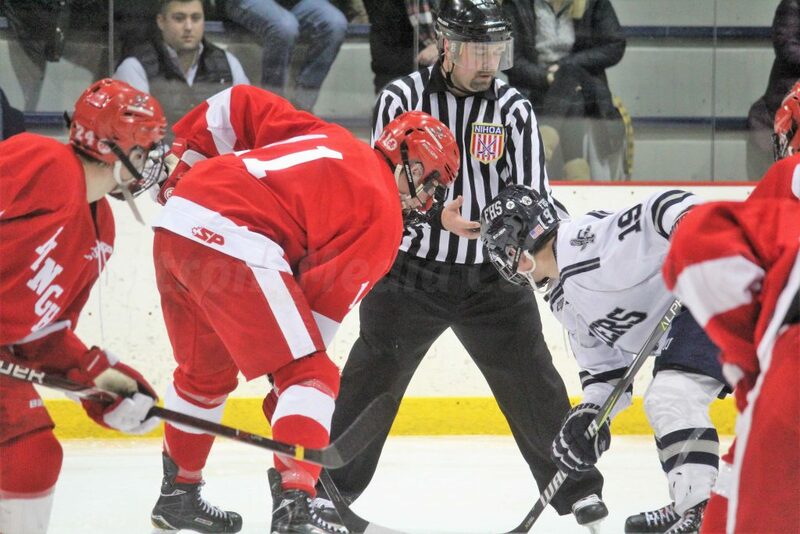 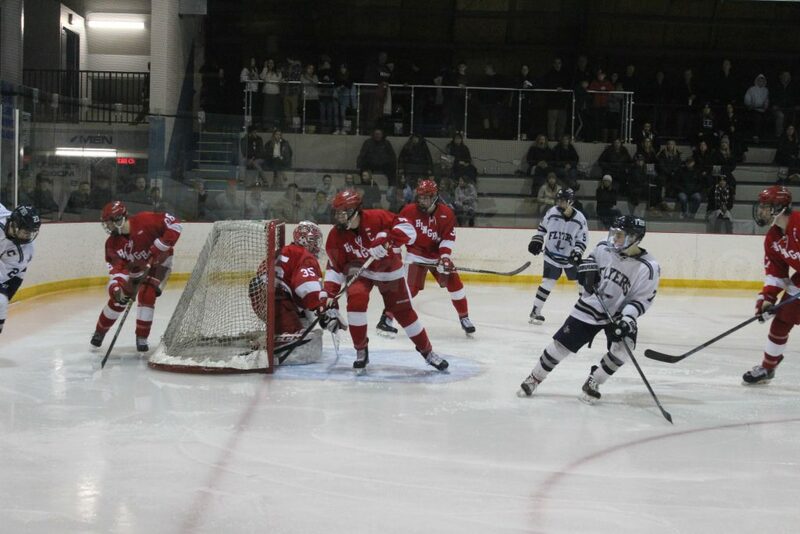 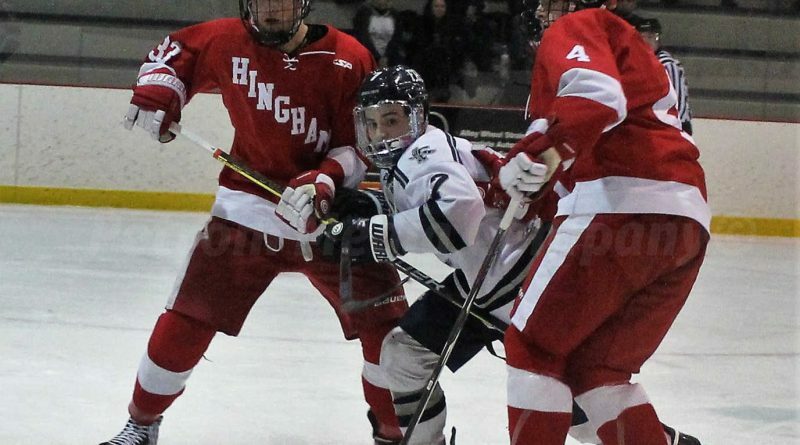 FRAMINGHAM – Two Top 10 ranked hockey teams, in contention for the Super 8 post-season tournament, battled at Loring Arena Monday night. 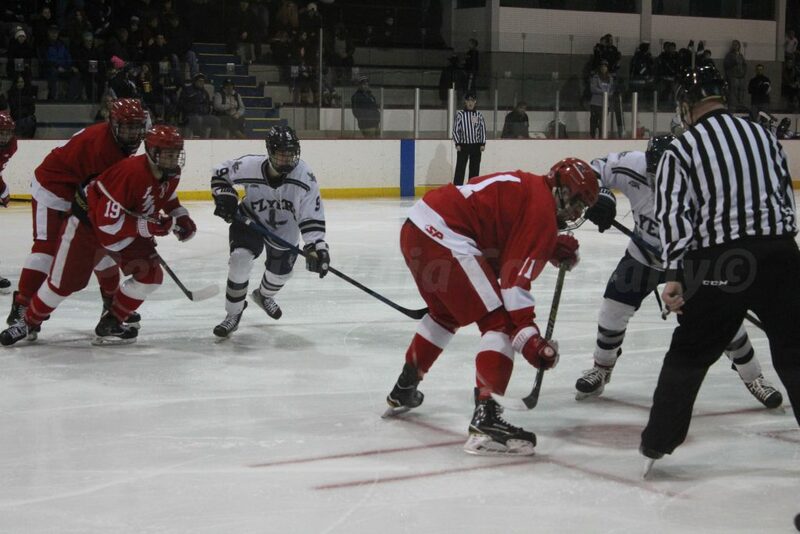 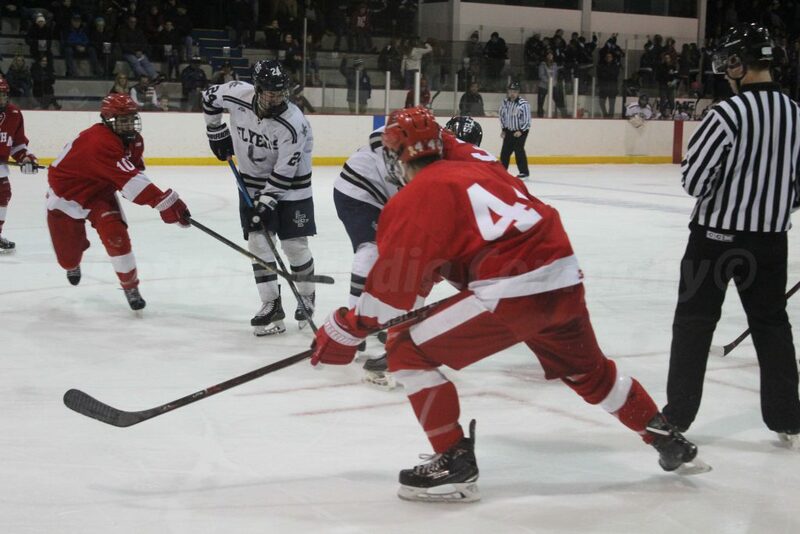 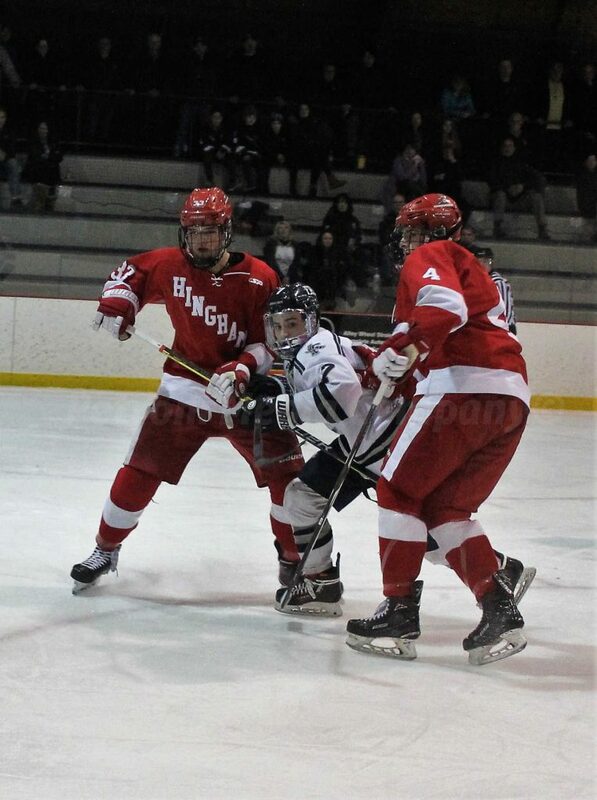 Framingham High boys hockey team hosted the 4th-ranked Harbormen of Hingham at Loring Arena, and came up short losing 2-1. 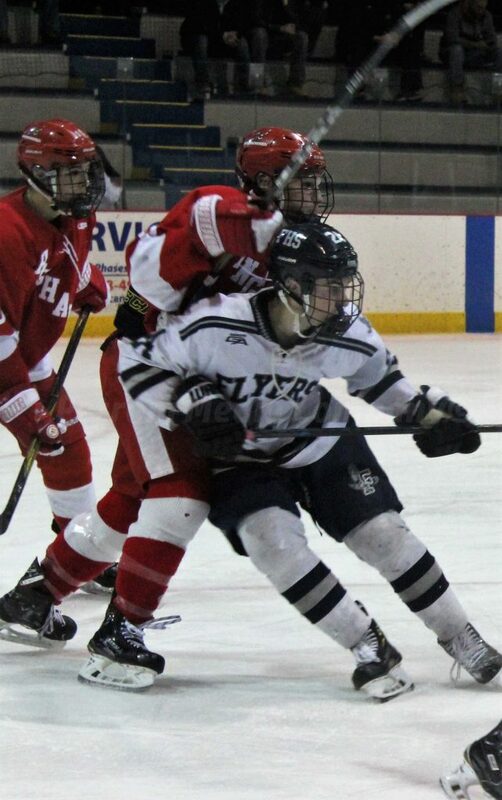 The 6th-ranked Flyers are now 14-3-2, and will host Xaverian High on Saturday. 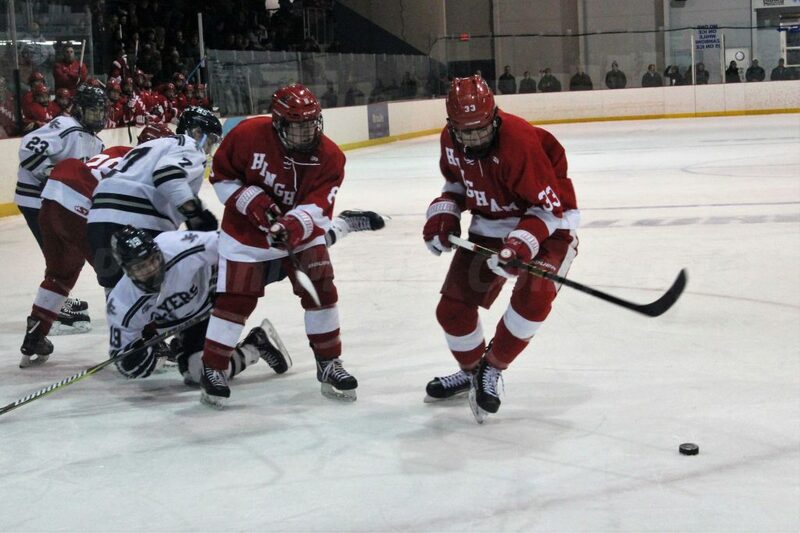 The Harbormen are now 15-3-1. 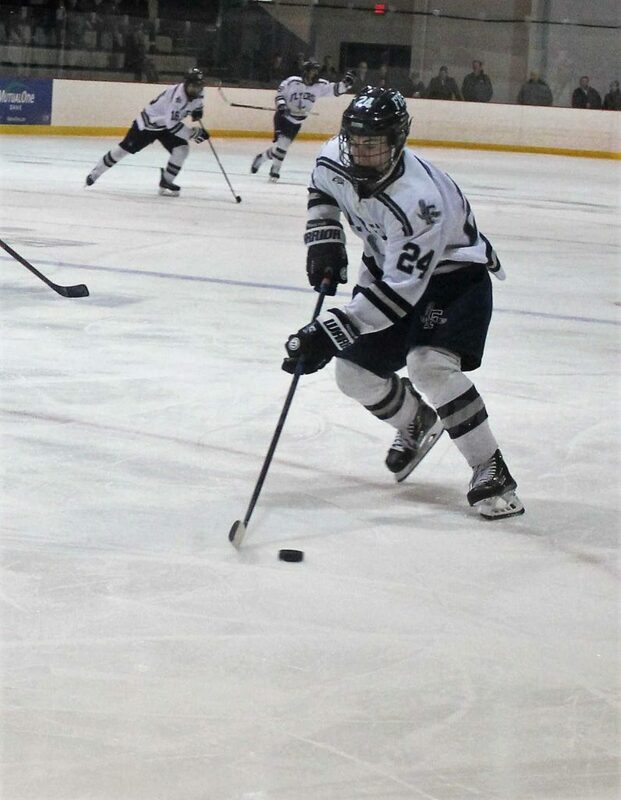 Before the game, Framingham Youth Hockey player Dominic Bober joined the Framingham High varsity team on the ice for warm-ups. 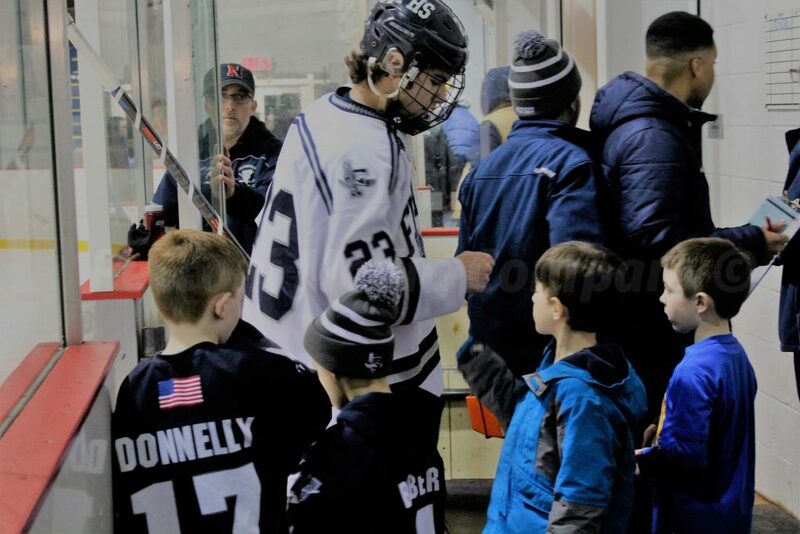 The kindergartener and his sister Layla, 4, who recently died, were also announced during the lineups, before the puck dropped. 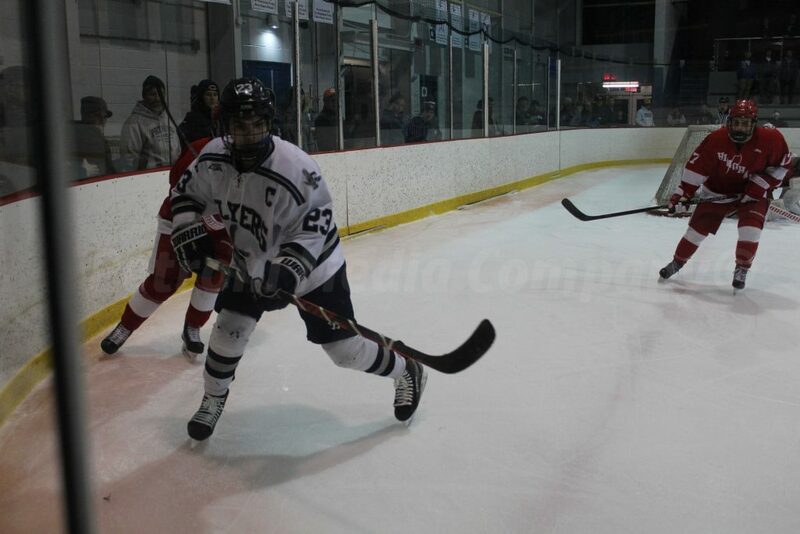 The Bober family is a part of the Framingham Youth Hockey program. 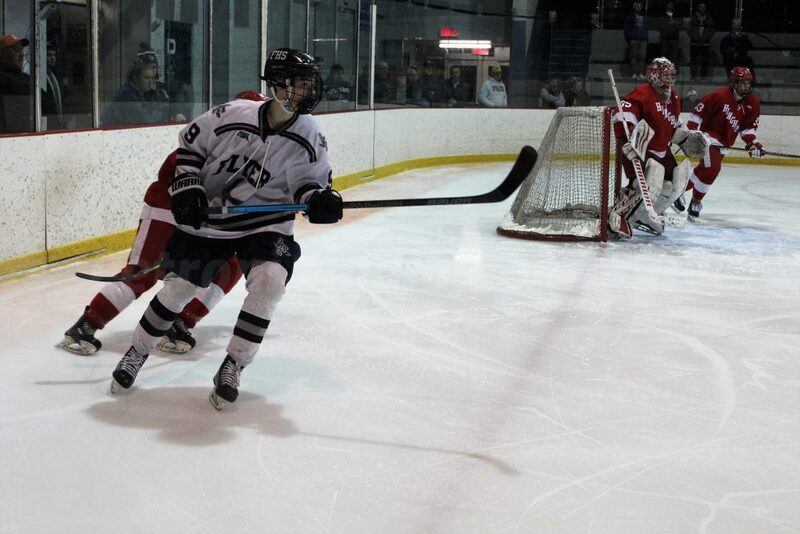 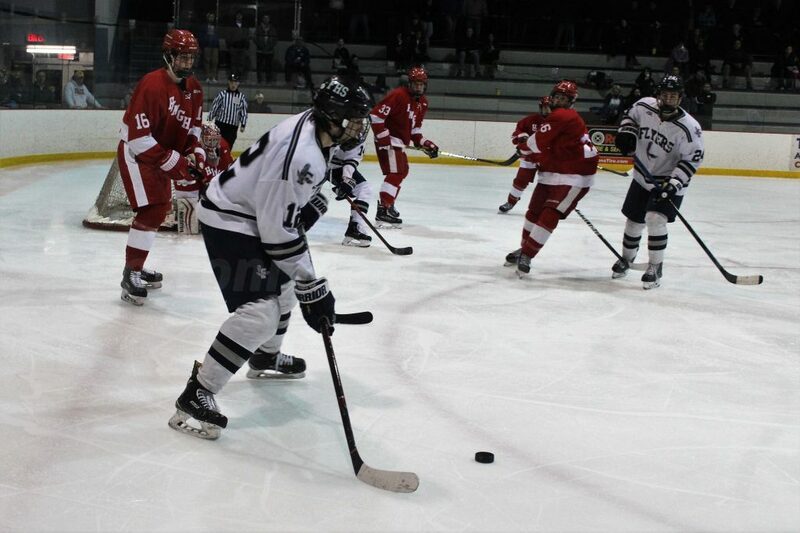 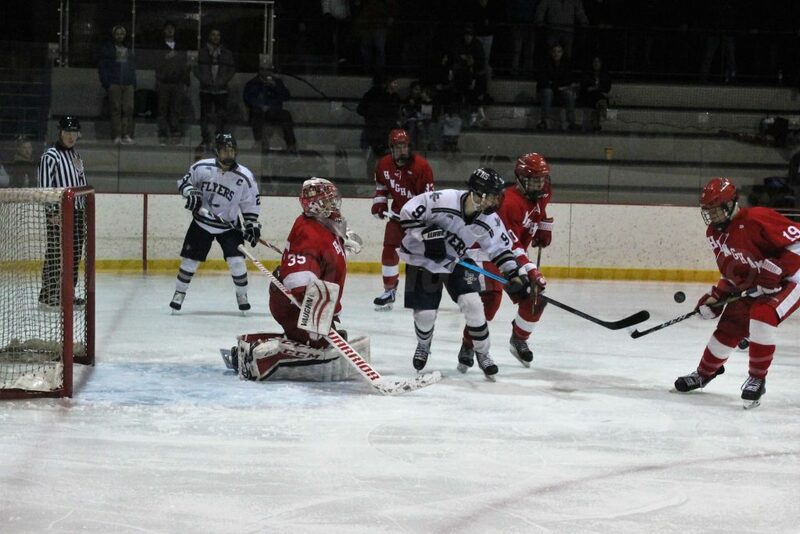 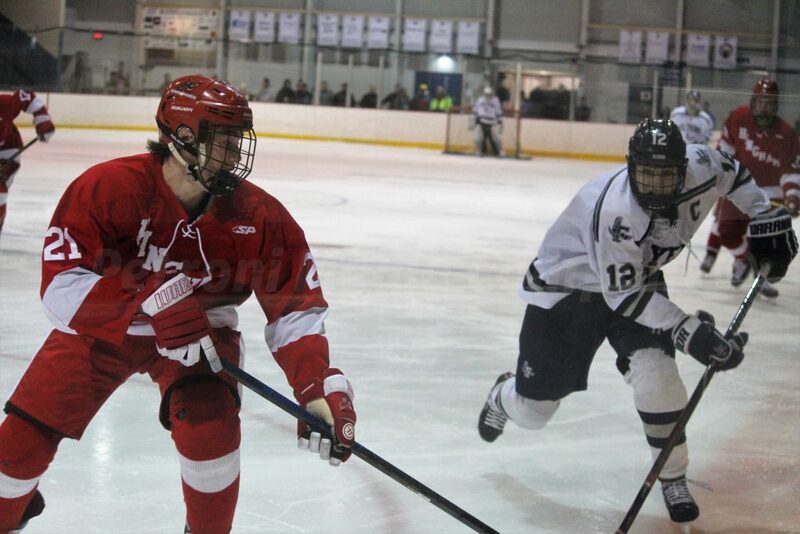 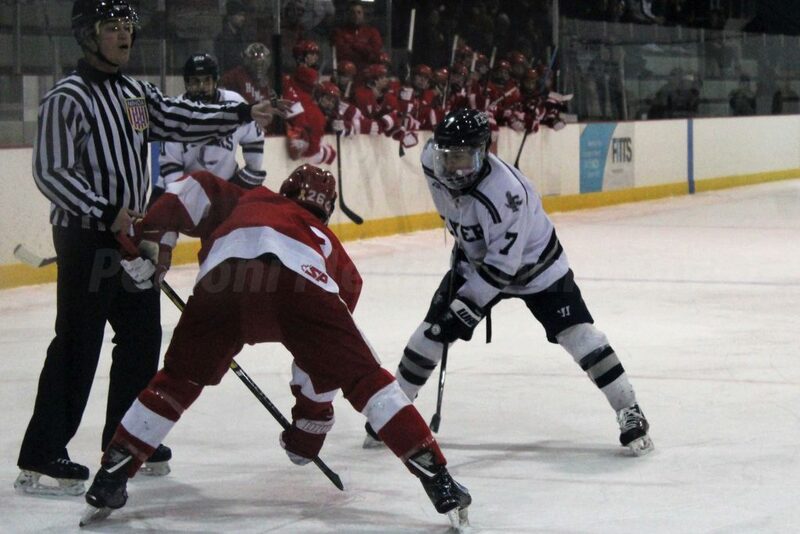 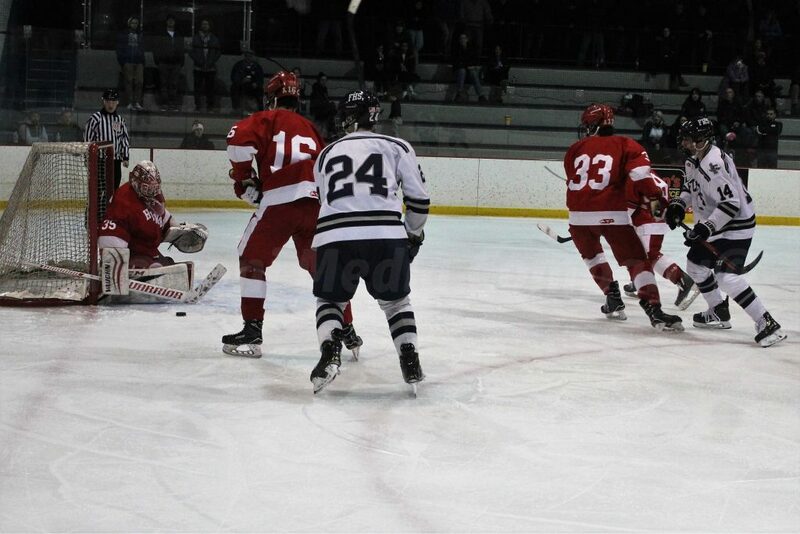 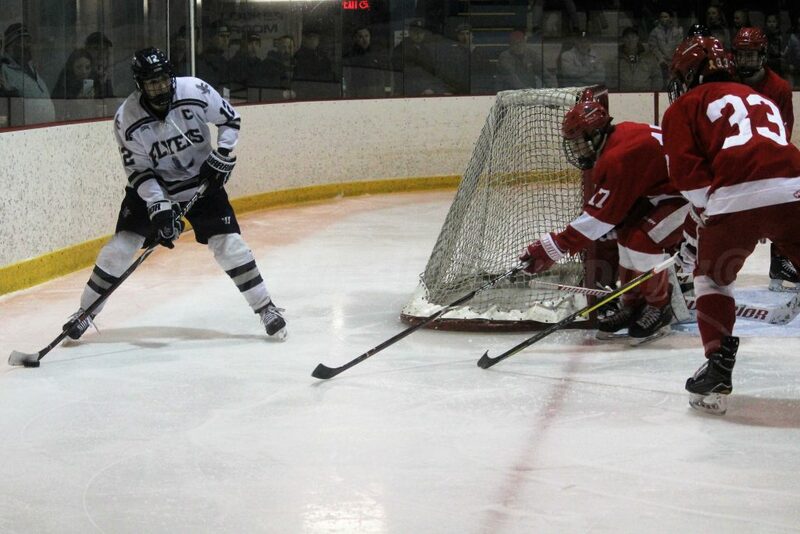 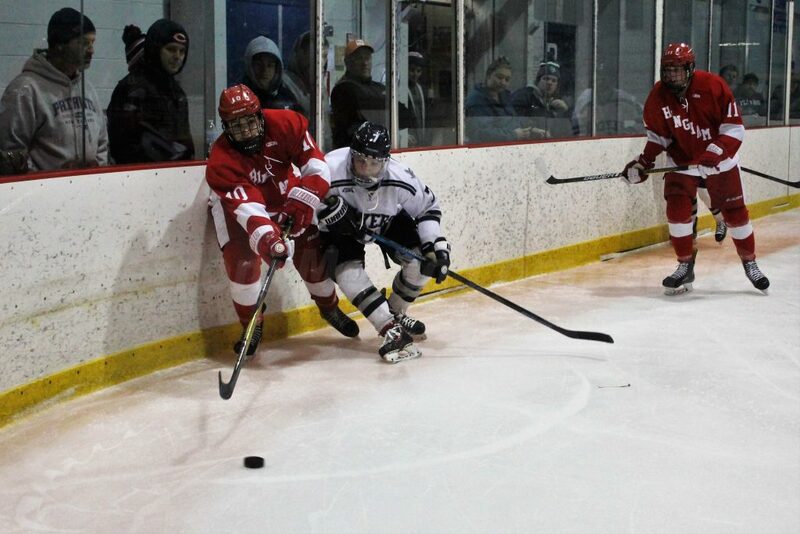 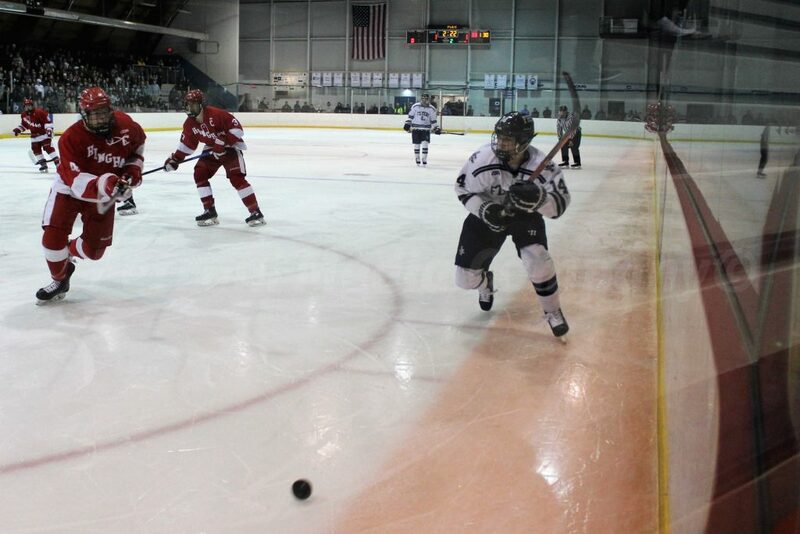 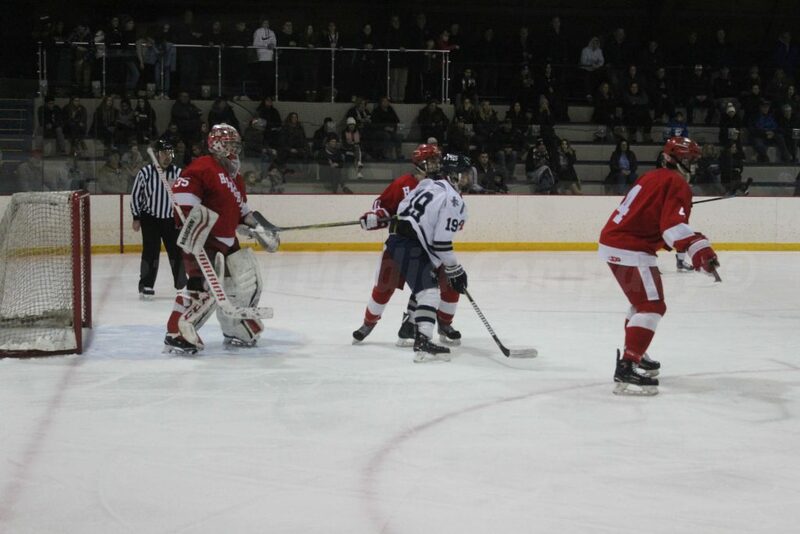 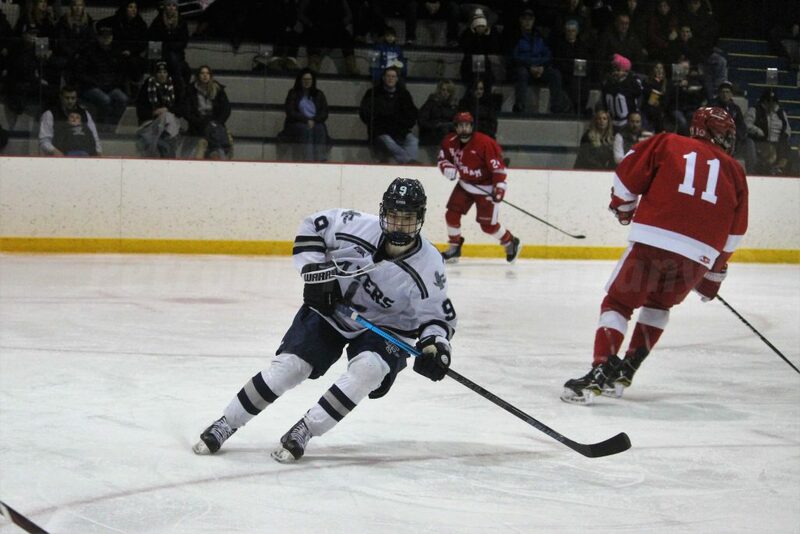 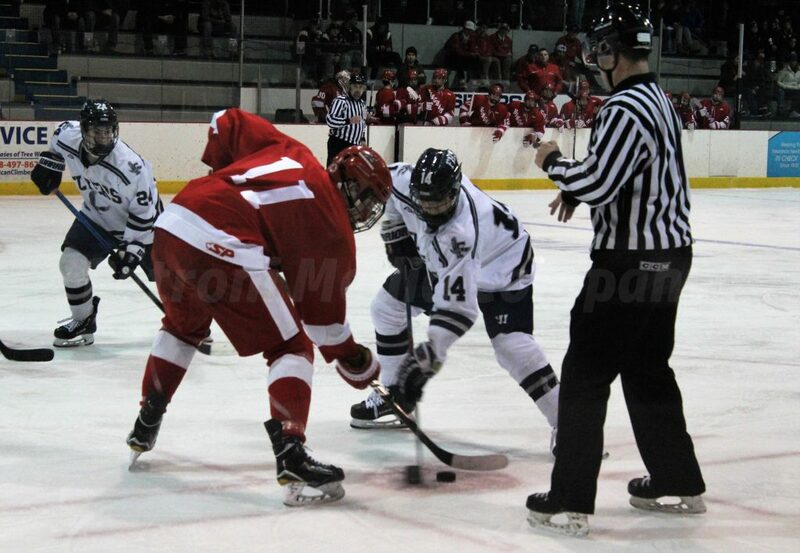 Senior captain Mike Tersoni scored the lone goal for Framingham with about 9 minutes left in the first period. 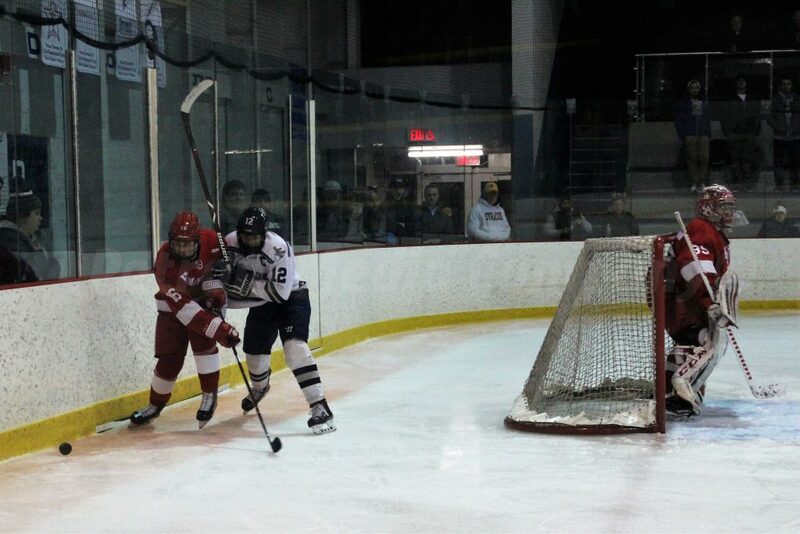 Assists went to Will Trischetta and Framingham Lopez. 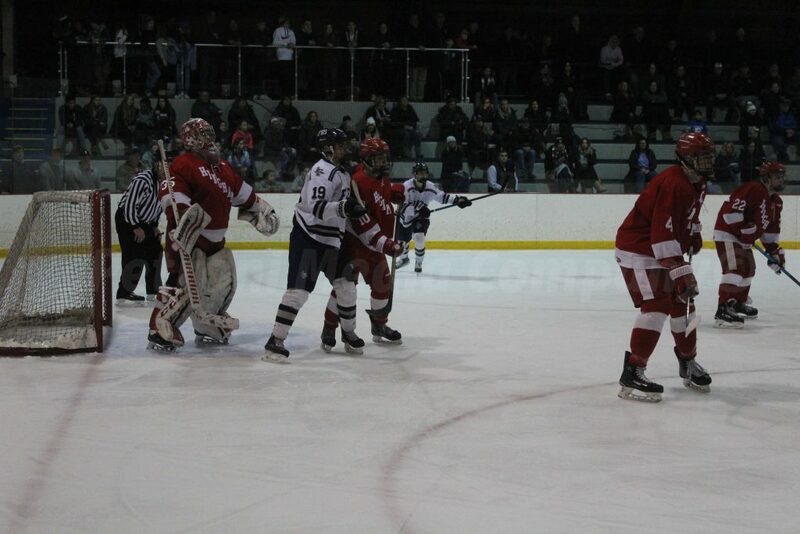 Framingham took that 1-0 lead into the locker room after the first period. 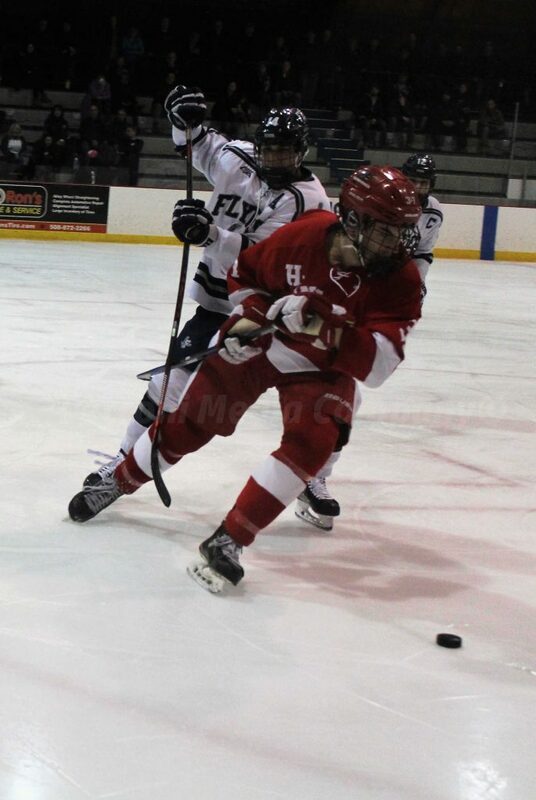 The second period was all the Harbormen, who scored twice, including a shorthanded goal, to take a 2-1 lead after two periods. 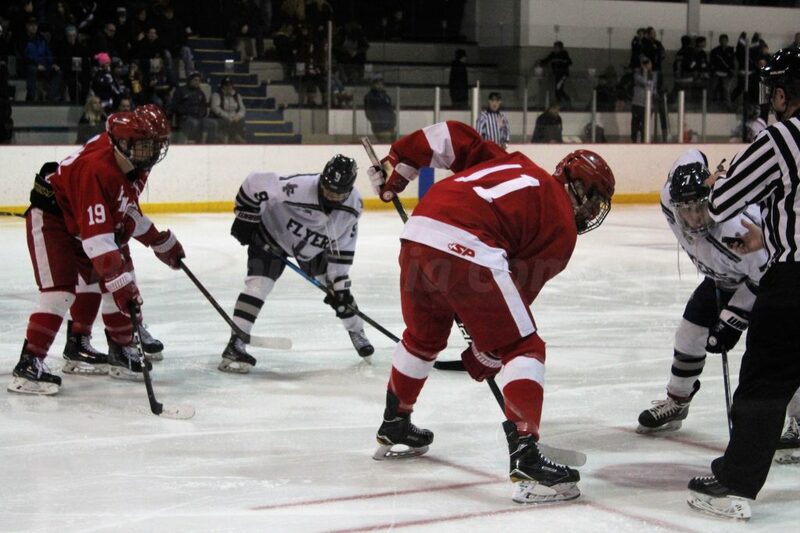 Carter Rugg scored from the point to tie the game at 1-1, and then Jacob Clark scored shorthanded for the game-winner. 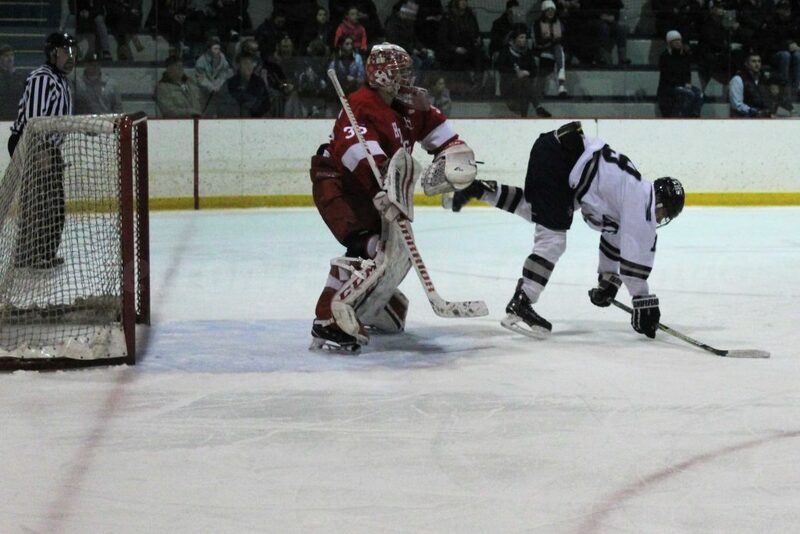 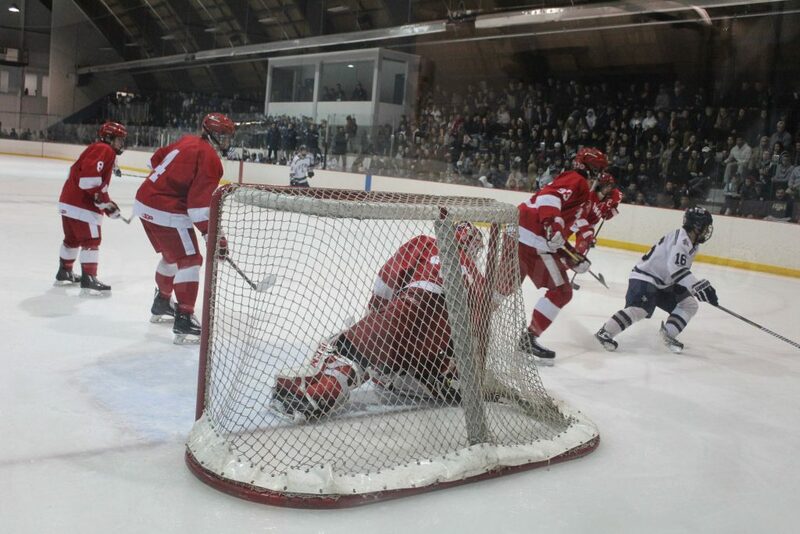 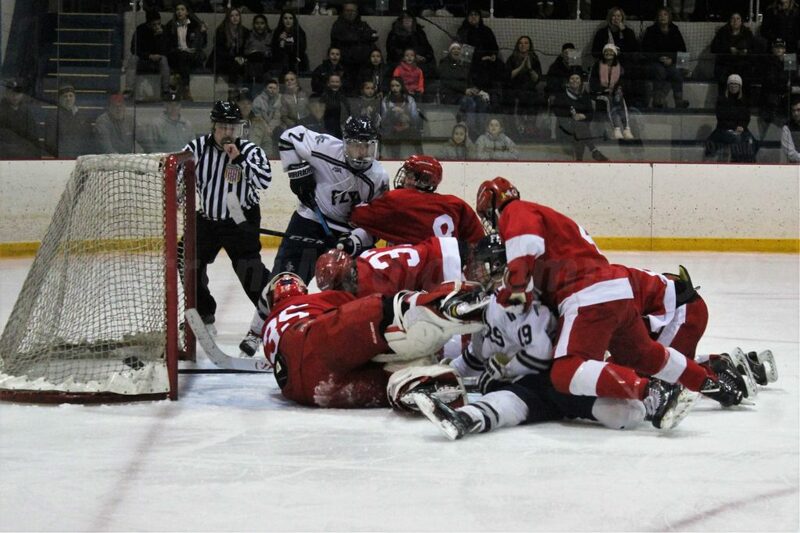 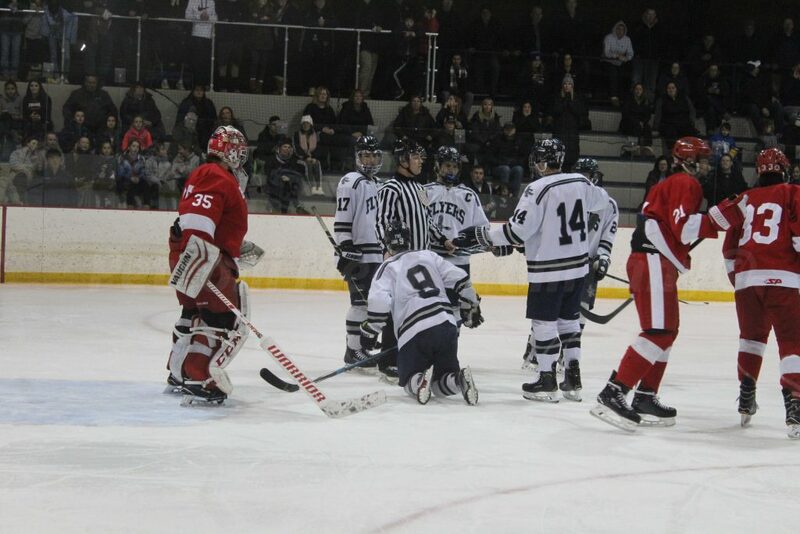 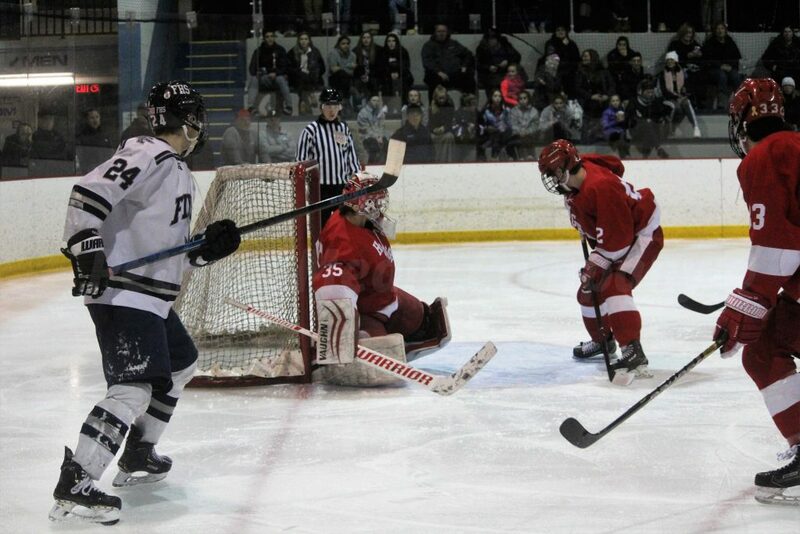 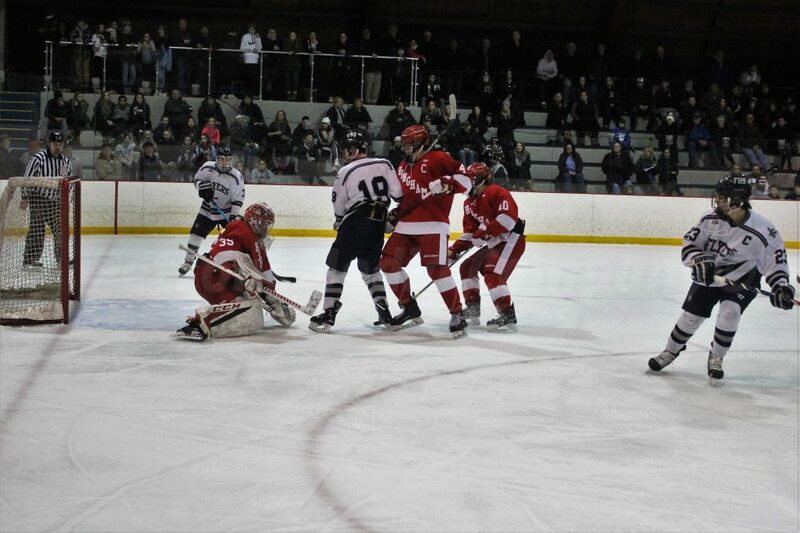 Framingham played its best hockey of the game in the third period, but could get the puck in the net again. 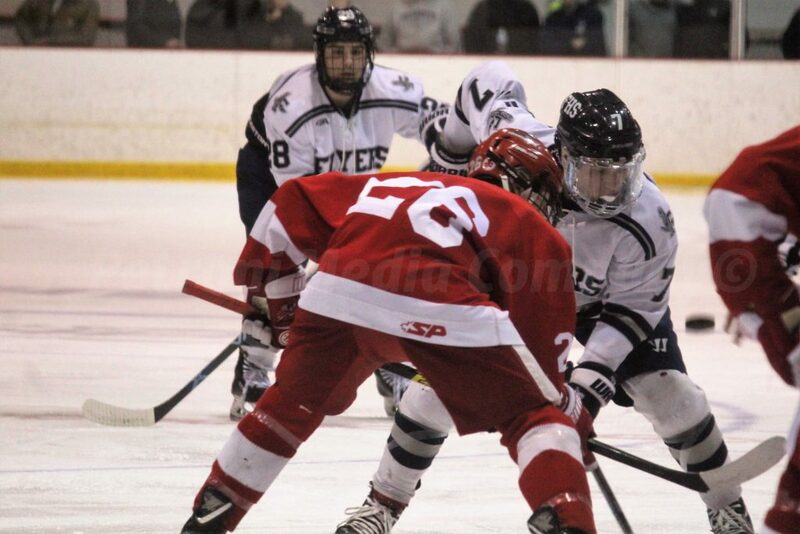 The Flyers out shot the Harbormen 3-to-1 in the final period. 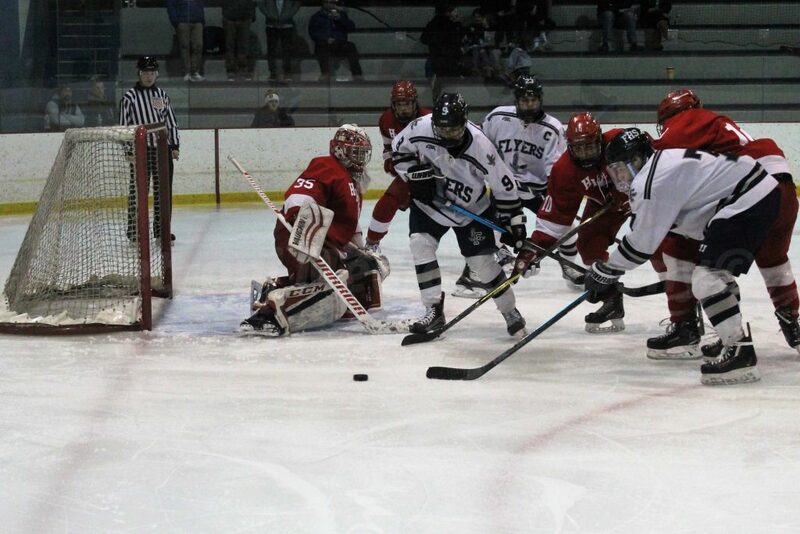 “But in the third period, we controlled the puck and were able to create some havoc,” said Ortiz. 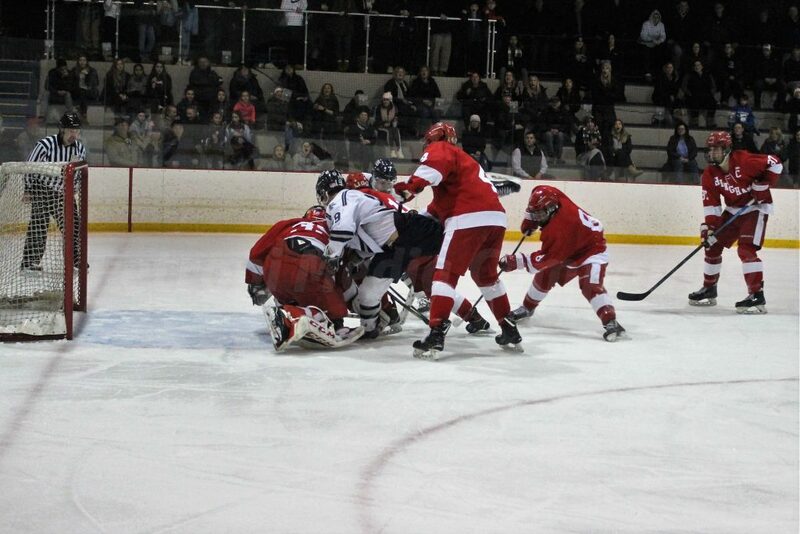 But not enough to tie or win the game. 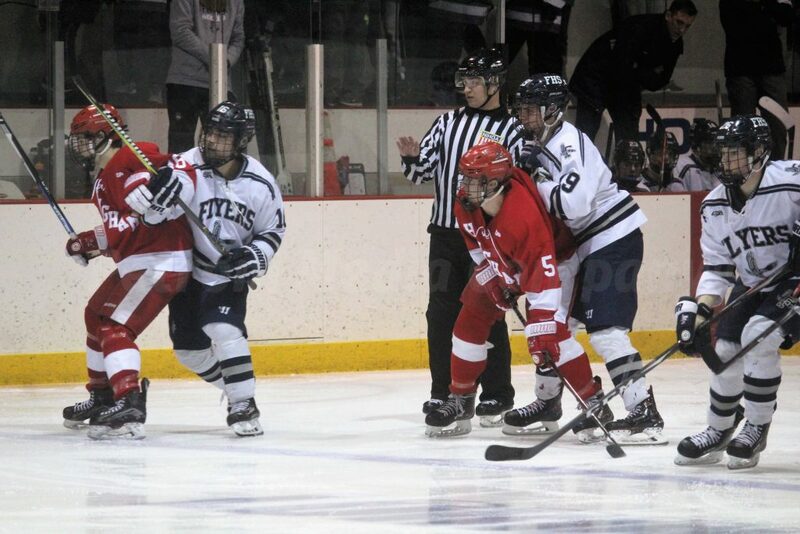 Overall, the Harbormen had 10 more shots than the Flyers in the game. 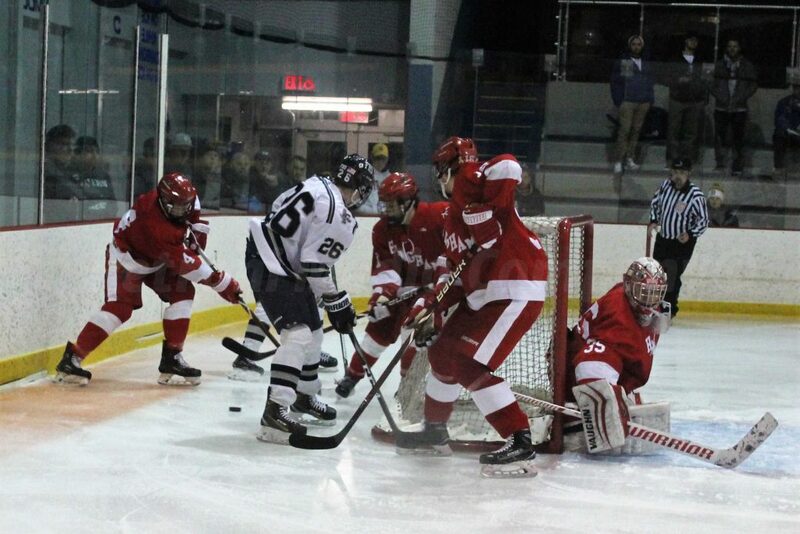 Junior goaltender Jake Handy kept the Flyers in the game all night, making 24 saves. 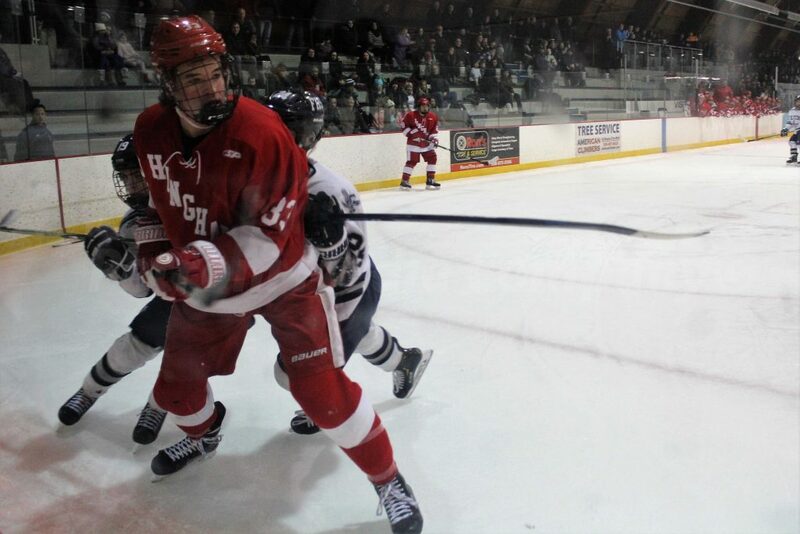 “Jake Handy kept us in the game,” said Ortiz. 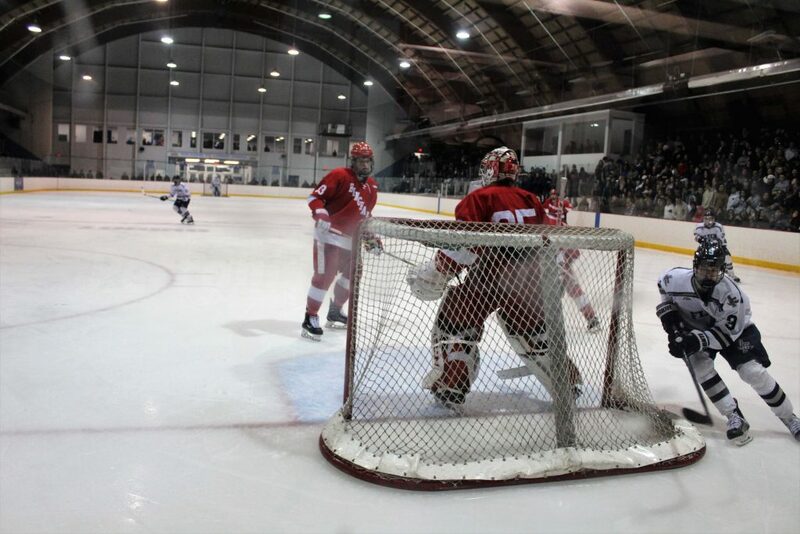 Handy has .933 saves percentage for the season. 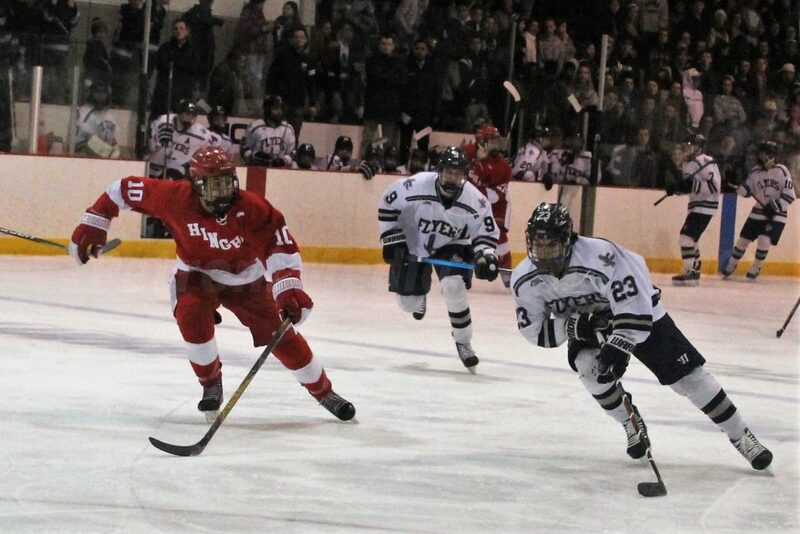 After the game, Coach Ortiz told his team to remember how it feels (to lose).